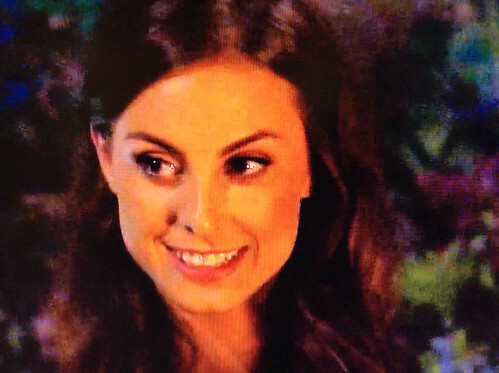 Why do we always want the drunken basket case to get the ax on The Bachelor? We always regret it later. Last week, we said goodbye to Victoria, that crapulous cross-eyed wipeout from Boca Raton. True, she probably wouldn’t be much of a role-model for Cah-mee-yah, except when it came to teaching the little darling how to pass out on a bus. But without Victoria and that bag she was half in, what are we left with? That’s right… girls who drink responsibly. And they never do anything interesting. Think about it… how often have you heard someone start a story about a wild weekend with, “Oh my god we got sooooo conservatively tipsy!”? But that’s where we stand this week. And now 12 girls are gone. That means 15 are left, but 6 of them have problem skin, so we know they’re out. And no girl who wears little flowers on top her head gets anywhere in life, so the clock is ticking on Hippie Chick. And when has anyone ever said, “I’m rooting for the opera singer!” and not been laughed out of the room? Yep, this season can end one way, and one way only. There’s gonna be one happy Professional Dog Lover with a big ring from Neil Lane on her hand very soon! But first thing’s first. Cassandra the Former NBA Dancer went on Date #1 tonight. She reminds us that she hasn’t been on a first date since she was 18 years old. And it’s a good thing too, because as it turned out, that was the most interesting thing about her. Of course to be honest, I can relate. There’ve been times I’ve been screechingly boring too. But you don’t want to date when you’re boring. I tried it once and had nothing more to say about myself than, “My parents are still alive!” and “I know one card trick!” We presume Cassandra was hired for the gig because she had more to offer than my personality did before the Ativan finally kicked in. I can’t think of one reason to like this girl. And the lousy date didn’t help either. They sat in someone’s yard and ate dinner. That’s not romantic. I do that with my parents every year on my birthday! My brain was so desperate for some arousal that I ended up getting accidentally turned on by a commercial for deli meat. If there’s one good thing to say about this date, it’s that at least it wasn’t the group date at the soccer field. This is where I changed the channel to Hollywood Game Night on NBC! Oh look! A new game where stuff explodes in celebrity faces! There could be a whole channel of just that! I really have no idea why the producers thought anyone would want to see a bunch of girls kicking around a soccer ball. 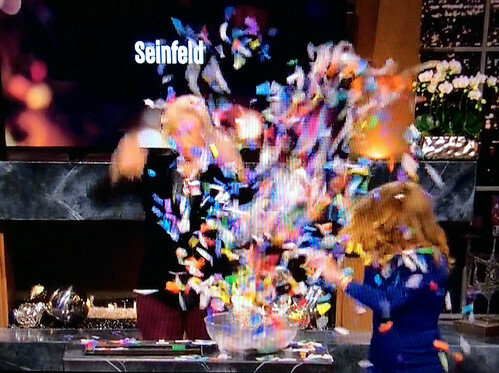 This show needs to take more cues from Bachelor Pad, where they put girls in bikins and throw eggs at them, or hang them upside down and make them eat spaghetti. I’m not at all sure what happened next. One of the girls turned out to be moderately skilled at the game. The rest of them chased around the ball and yelled things like “Come on!” and “Soccer will never be popular here!” All to no avail. The Group Date Rose went to Nikki, who stood out for absolutely no reason other than words with double-K are always fun to say (It’s a comedy rule!). 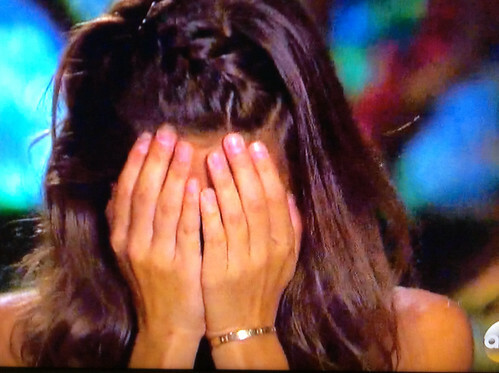 The producers haven’t stuck anyone up on a skyscraper, bridge or bell tower yet this season, so brace yourself, Chelsie! 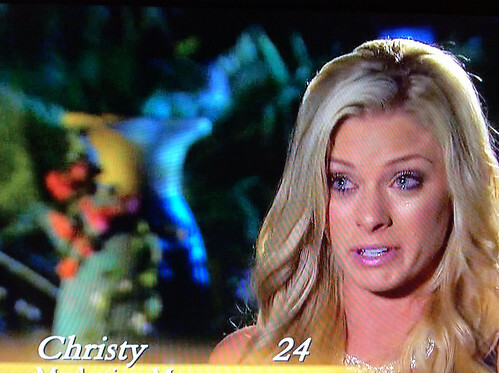 You’re on date #2 this week, and you’re going “ankle bungee jumping.” I know, I know, Chelsie. Part of that sounds like a real thing, and the rest sounds like something kids made up after eating bath salts. Well, real or not, you’re doing it! Jeez didn’t it seem like Chelsie sat up at the edge of the bridge whimpering and groaning for at least five minutes! I got ten new Twitter followers just waiting for her. Christian Slater premiered in two new tv shows, and they both got cancelled. Eventually, Chelsie got up her moxie and went over the edge. And if you’ve got “Leap of faith analogy” on your Bachelor bingo card, mark out twenty squares and send Chelsie a thank you note. Concerning the winning card, they just need to keep track of the numbers that were called. My head hurts. Is it Rose Ceremony time yet? Let’s see, saved this week if my calculations serve, are Chelsie, Nikki and Cassandra. So who’s going home? No! Not Chrisy the Marketing Manager! Now there’s no one left in the mansion who can do Power Point. Kiss your wrap party slide show goodbye, assholes! And Hippie-chick Lucy. Stop by her booth sometime and she’ll show you how to turn a recycled coffee filter into a feminine hygiene product that rivals anything in a store! And pick up a new rain stick!